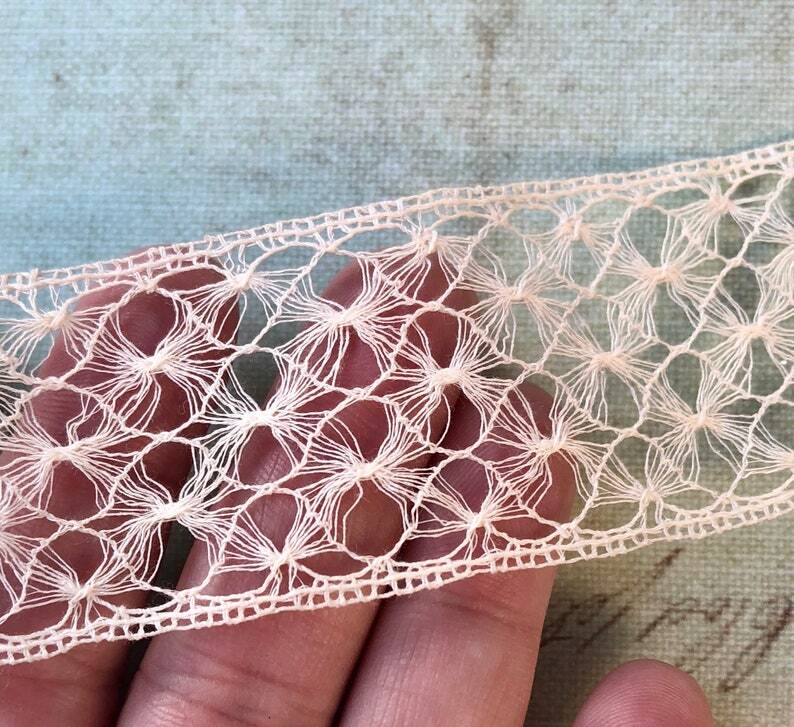 This is lovely vintage cotton drawnwork lace - very unique! It's a wonderful lace that would lend a lovely vintage flair to your sewing or crafts project! This lace is in good condition with just some very minor age discoloration.